It’s that time of year again, when we all pile into the common room and enjoy some great science talks. There’s no entry charge, just turn up early to claim the best seats. The space will be open from 6.30pm with talks commencing at 7pm sharp. Each talk will be 10 minutes long with a chance to ask questions. We’ll pause half way through the evening to stretch your legs and get a tour of TOG before the last few talks. 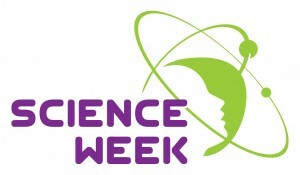 If you want even more Science Week excitement, don’t forget to check out scienceweek.ie. Siri has solved all our speech recognition problems. Or has it? Despite recent advances in speech recognition, truly natural human-computer interaction is not yet a reality. This talk touches on existing issues and new directions in the speech community, from the recognition of under-resourced languages to attempts to read between the lines, detecting emotion, personality and more. Ailbhe is a PhD student in the department of Electronic and Electrical Engineering at Trinity College Dublin, where she works on the automatic recognition of paralinguistic traits (emotion, personality, etc.) from the voice. Dr. Edel Hyland – Why are identical twins not truly identical? DNA is the code that dictates everything about an organism – or is it? Identical twins, although they have the exact same DNA code, or sequence, sometimes show differences, such as susceptibility to cancer. This is because their DNA can be decoded differently, and one twin may turn on particular genes that are turned off in the other. The reason behind this is because the structure of DNA inside a cell, in addition to its sequence, contributes to the characteristics of an organism, and identical twins will show variations in their DNA structure over time. This field of biology is called “epigentics”, and Edel’s research asks whether epigenetics influences how organisms evolve. Dr. Edel Hyland is a trained geneticist and molecular evolutionary biologist. Originally from Dublin, she graduated from the natural sciences program at Trinity College Dublin. Afterwards Edel moved to the States and obtained my PhD at the Johns Hopkins Medical Institute in Baltimore, Maryland, followed by four year post-doctoral training at Harvard University in Cambridge, Massachusetts. Now she has returned home to work at DCU to learn the field of bioinformatics, which utilizes computers to analyze DNA sequences. In this talk, we will look at some very interesting concepts of Probability, a subject area famously described as “fertile ground for blunders”. We will look at some of the most famous of these probability related blunders fallacies in history. Kevin is a statistician who helps run Dublin R and has taught a number of introductory R and Julia courses in TOG. Dr. John Gallagher – ‘From benzamides to macrocyclic imides and beyond… Experiences at the interface of crystallography and molecular modelling. John’s research group in DCU constructs small molecules, and uses various methods like crystallography to examine their structure. Dr. John Gallagher has undertaken PhD research in University College Galway, postdoctoral research at the University of Guelph, Canada (1990-1993) and the University of Cambridge (1993-1995). In DCU since 1995, he has developed research on structural systematics (n x m isomer grids) and bioorganometallic chemistry. A Co-editor of Acta Crystallographica Sections C (from 2000-2011) and Section E (from 2011-2014) of the International Union of Crystallography. Dr. Cathy McFadden – Code Equivalence and how it relates to the board game ‘Scrabble’. Error correcting codes were introduced in the 1940s to mitigate deterioration of signals in communication systems. By adding redundancy to the signal sent, the original message can be recovered despite the distortion experienced during transmission. In this talk I aim to explain what codes are, why code equivalence is important and where Scrabble comes into it. Cathy obtained her PhD in Algebraic Coding Theory at the Claude Shannon Institute for Discrete Mathematics, Coding, Cryptography and Information Security at UCD and is now lecturing at DCU. HIV remains one of the most significant infectious diseases known in the 21st century. In spite of the lack of an effective vaccine, modern pharmaceuticals are highly effective at allowing individuals to consider the disease as a chronic illness rather than a death sentence. However, in resource poor regions such as Sub-Saharan Africa the infection remains a significant threat to life. In this talk, the role of point-of-care diagnostics and lab-on-a-chip solutions designed to bring rapid care to remote regions will be discussed with regard to HIV. This was written by triona. Posted on Monday, November 3, 2014, at 5:22 pm. Filed under Uncategorized. Bookmark the permalink. Follow comments here with the RSS feed. Post a comment or leave a trackback.